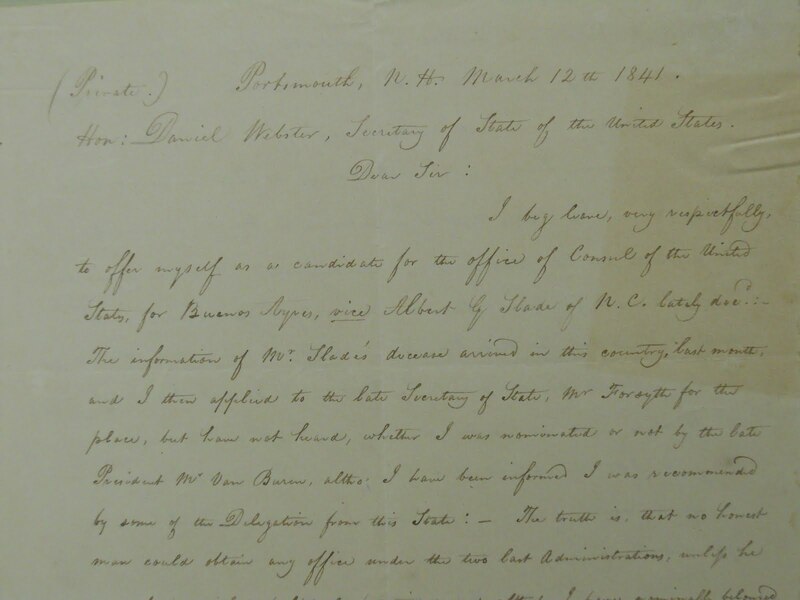 The Robert D. Farber University Archives & Special Collections Department holds eleven manuscript boxes of the correspondence of famed American senator Daniel Webster. 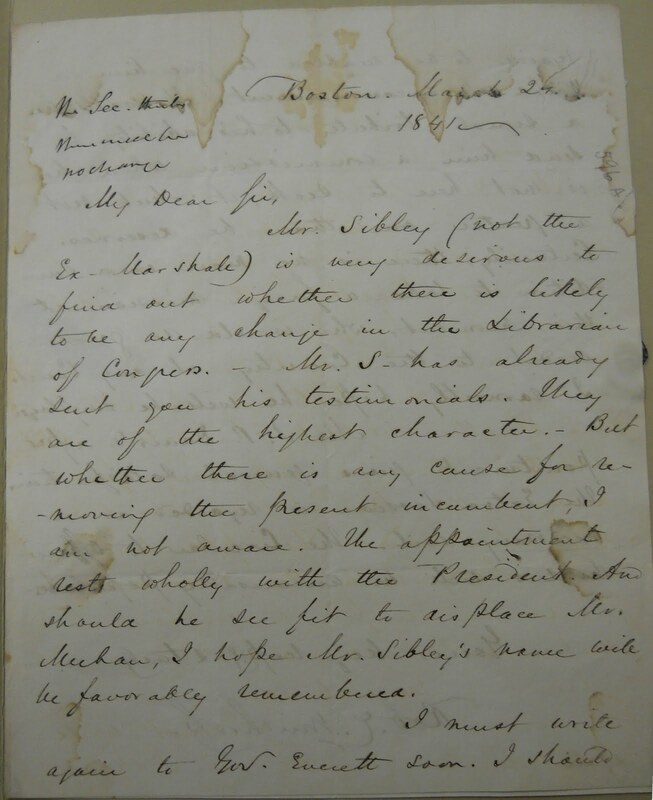 The letters, highly legible with clear script, provide an insightful behind-the-scenes look at dealings of nineteenth-century American politics. Daniel Webster was born in Salisbury, New Hampshire, on January 18, 1782, just a few months shy of the American Revolution’s Battle of Yorktown. He would go on to become one of the most well-known and esteemed politicians and lawyers of the nineteenth century. Webster represents a generation of Americans who grew up in the recently independent United States, came of age well after the Revolution, and sought to live up to the image of the Founding Fathers. He would celebrate his second birthday four months after the 1783 Peace of Paris officially ended the war, but his later diplomatic work would come to finalize this treaty. 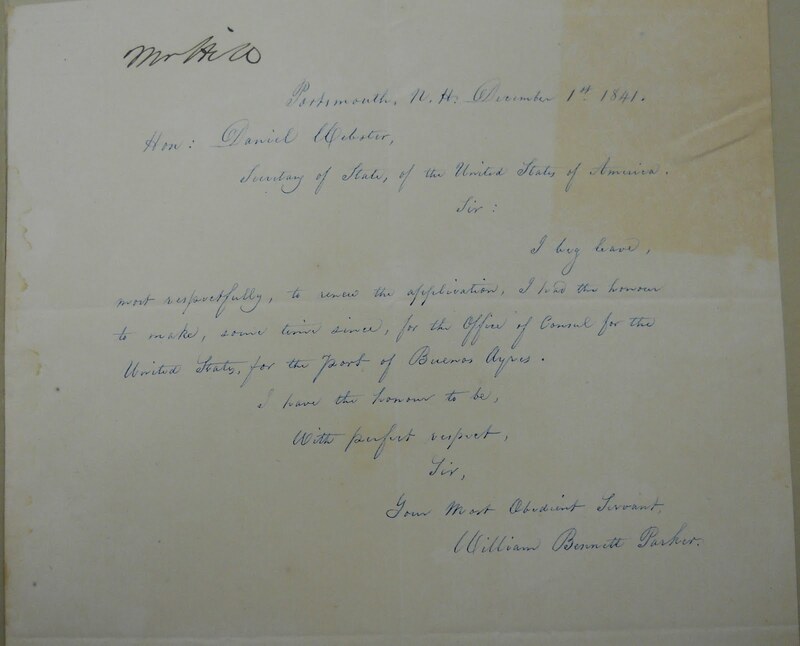 The bulk of Brandeis University’s Daniel Webster collection consists of correspondence composed and received during his time in the Cabinet, much of which is not available in published form. 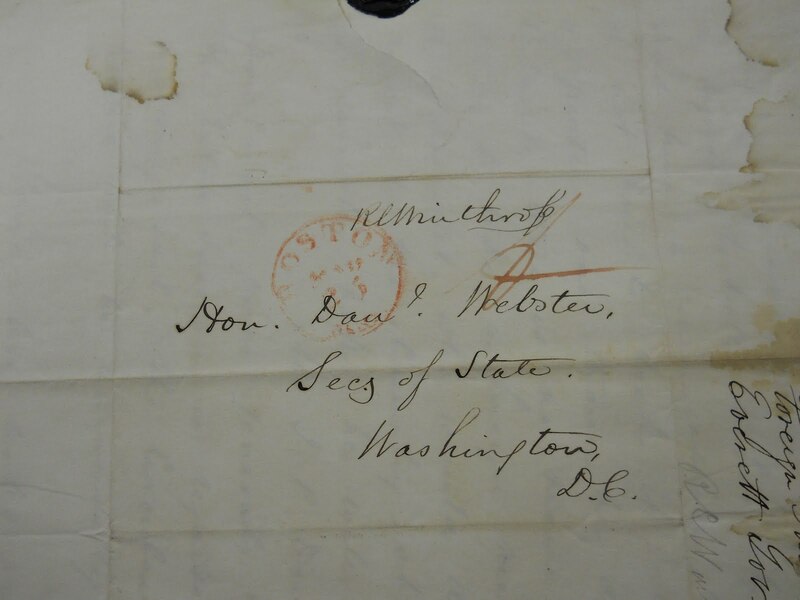 The vast majority of Webster’s correspondence deals with appointments for both domestic and international offices—ranging from the marshalship for the middle district of Tennessee to the consulate of Amsterdam. Naturally, the correspondence represents a transitional period between presidencies. After President William Henry Harrison died one month into his term, Webster held the auspicious title of being the secretary of state under the shortest presidential administration in American history. In addition, he has the even more dubious distinction of turning down the office of vice president under Harrison, who was the first president to die in office, because he viewed it as beneath him.13 As an ironic conciliatory prize, Webster served as “acting President” for two days until Vice President John Tyler arrived in Washington, D.C., to assume the position from the fallen Harrison.14 Webster retained his post under Tyler until he resigned in1843. The culmination of his efforts in the State Department reached its pinnacle with the 1842 Webster-Ashburton Treaty, which eased decades of hostility with Great Britain by finally formalizing the United States’ northern border with British-ruled Canada.15 Thus with the help of Ambassador Everett, Webster was able to bring to a conclusion one of the last unresolved measures of the American Revolution—ending a border dispute that had existed since the 1783 Peace of Paris.16 In so doing, Webster used nineteenth-century international diplomacy to carve out his own place in American Revolutionary history. 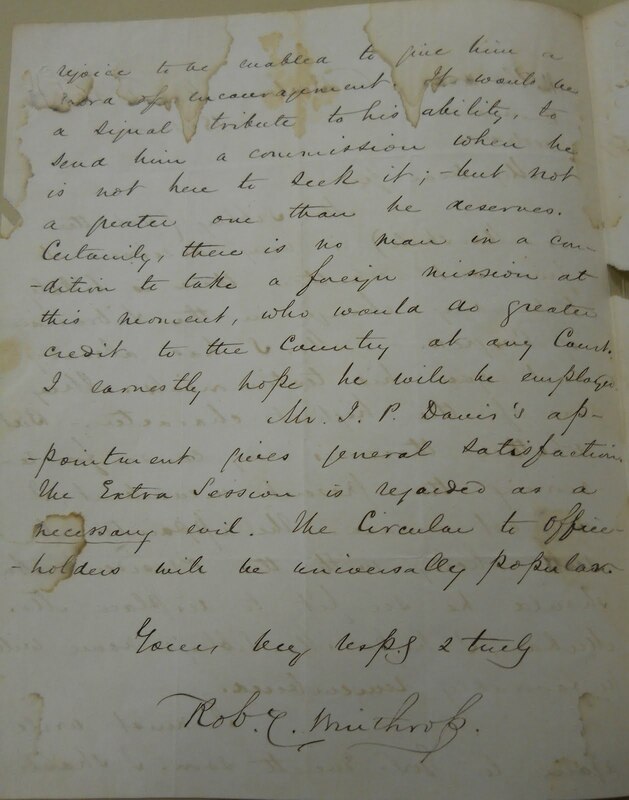 Overall, the Robert D. Farber University Archives & Special Collections’ Daniel Webster collection provides access to more private aspects of the United States’ diplomatic history and appointments during the nineteenth century. 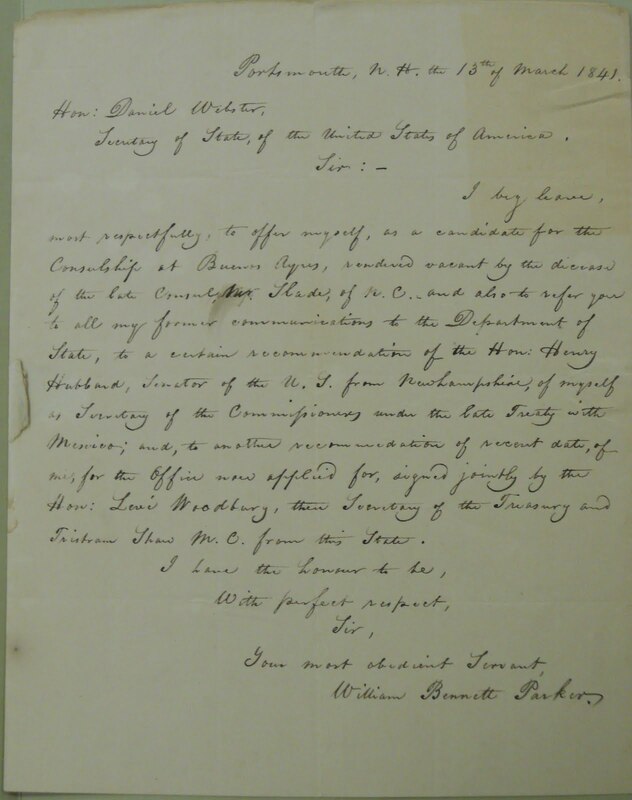 The online finding aid to the Daniel Webster Collection is available here. 1. Robert V. Remini. Daniel Webster: The Man and His Time. New York: W.W. Norton and Company, 1997, p. 52. 3. 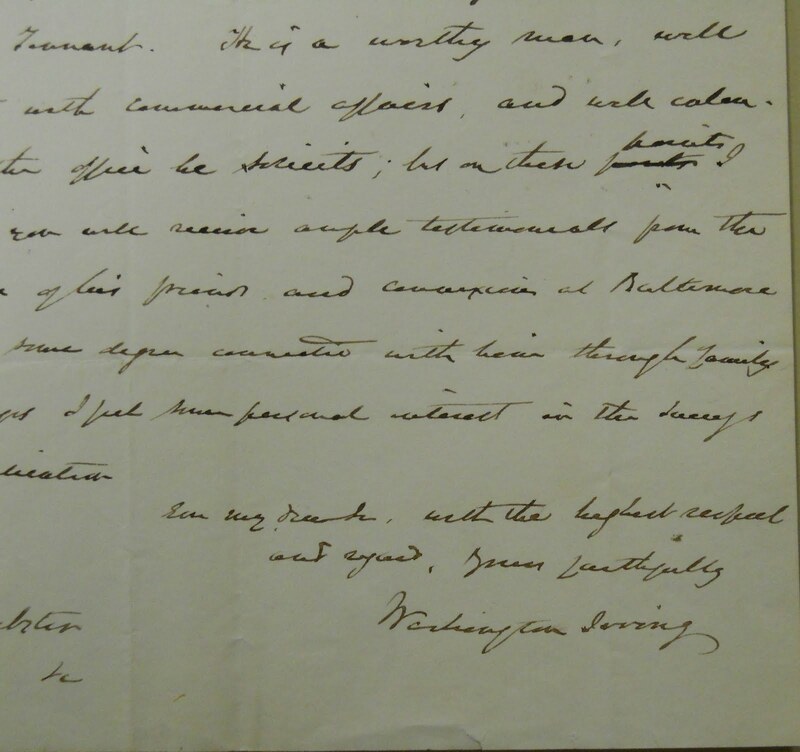 Robert Treat Paine to Daniel Webster, 19 Feb. 1841; Henry Wheaton to Daniel Webster, 25 Nov. 1840. 4. 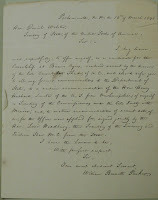 Enoch Train to Daniel Webster, 8 Feb. 1841; Josiah W. Blake to Daniel Webster, 11 Feb. 1841; Henry Edwards, 24 Mar. 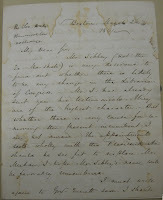 1841; William Bennett Parker to Daniel Webster, 12 Mar. 1841; 13 Mar. 1841; 10 June 1841; 1 Dec. 1841; 23 Apr. 1842; 11 Jul. 1842. 5. 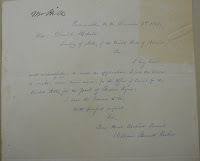 William Bennett Parker to Daniel Webster, 12 Mar. 1841. 6. Kenneth E. Shewmaker, ed. The Papers of Daniel Webster: Diplomatic Papers, Volume 1, 1841-1843. Hanover: Dartmouth College by the University Press of New England, 1983, p. 7. 8. Shewmaker, p. 7; Remini, p. 513. 9. 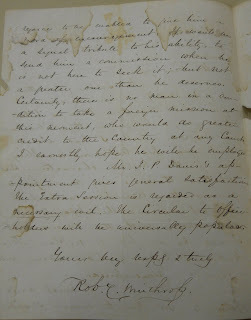 Washington Irving to Daniel Webster. 3 Jul. 1841; Washington Irving to Daniel Webster. 25 Oct. 1841. 10. 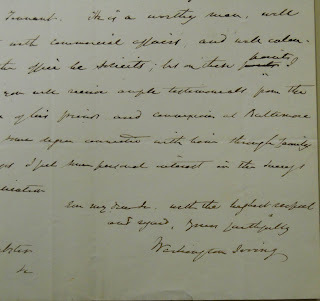 Washington Irving to Daniel Webster. 25 Oct. 1841. 11. 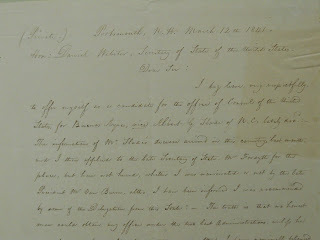 Robert C. Winthrop to Daniel Webster, 24 Mar. 1841. 12. Shewmaker, p. 7; Remini, p. 520. 15. “The Webster-Ashburton Treaty,” in Howard Jones, To the Webster-Ashburton Treaty: A Study in Anglo-American Relations, 1783-1843. Chapel Hill: University of North Carolina Press, 1977.